How To Activate Gmail 2 Step Verification? 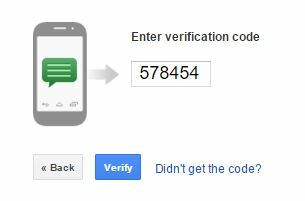 Gmail 2 step verification and how to activate it? Cyber security is becoming a major concern in present context. Millions of account are present in database of Google which are all password protected. However, protecting a Gmail account with a password is sometimes not enough. Hundreds of accounts are hacked every day by anonymous hackers who steal valuable information in your account. This is where Gmail 2 step verification comes in handy. 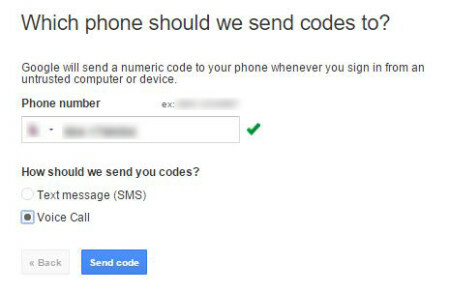 This service provided by Google will send a verification code via text message or phone call (optional) to your mobile phone after you have entered your Gmail password. The verification code is unique every time you sign in. 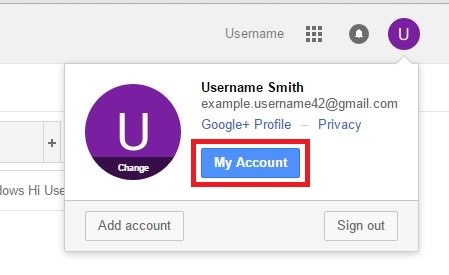 If you do not have a Gmail account, create one in order to proceed further for 2 step verification activation. After you have been successfully logged in, click on your profile picture (or first initial of your name) located at the top-right corner of the page. In the extension box, click on My Account to access your account settings. 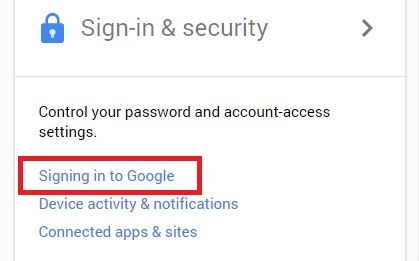 Under the Sign-in & security section, click on Signing in to Google to move ahead for activating Gmail 2 step verification. Below Password at the bottom-right corner of the page, click on 2-Step Verification. 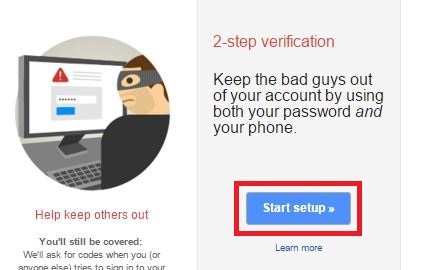 On the next page, click on the Start setup button to proceed setup Gmail two step verification. If prompted, enter your Gmail password to progress further. Enter your phone number where mentioned. If you have already entered a phone number before, the number will show up on the page. Choose from “Text message(SMS)” or “Voice Call”, how you want to get your codes. Click on Send code button. A verification code will be sent to your phone. Enter the code you receive in the space provided, and click on Verify button. Next, you’ll get the option to “Trust this computer”, the one you are using right now. Choose to check or uncheck the option as per your preference. This step is recommended only on personal computer. Then, click on Next button. Finally, click on Confirm button activate Gmail 2 step verification. Check video on Gmail 2 step verification as well.